To offer the listener stunning praise and worship songs which explore AND express "The emptyness of life without Christ as our anchor, and to encourage everyone to celebrate, worship and praise our Lord and Savior Jesus Christ, for the hope and security that can only be found in the clutch of His Hand." 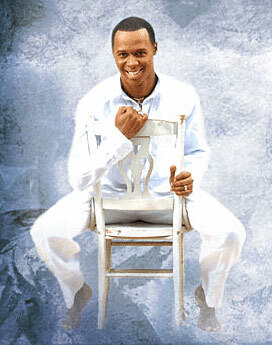 Darnell Freeman - "Beast on the Bass"
ChristianMusic.com asked Micah Stampley, How would you describe your music? Micah Stampley replied, "The songs of the Lord. Most of the time I find that the "industry" does not know how to categorize me to a specific genre. I write and sing how God gives it to me and they are songs that any race, nationality or culture can sing and/or receive from." 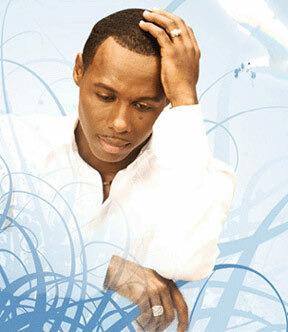 Micah Stampley explains further, "I have a hard time describing my music. It as a sound that can't be categorized. Many times we try to box God's songs into a category so that people will be able to identify with a particular sound. However, we must get to a place where we understand that worship is not a genre and praise is not a category, but a way of life that we have and it's how God created us to be; worship beings." "Think about it! Any of us know of someone who worships something or someone. None of of us ever cease to worship. Just because someone one may not be a worshiper of Jesus Christ doesn't mean they're not worshipers," (of something else). "The question is; Where does your worship go? It's who we are and it can't be called or categorized as anything else. But to those who can't relate to anything else but genre's and categories; put me in the 'praise and worship' category." WOW! What an album! It is very much evident that the Lord has truly blessed Micah Stampley with some very special gifts, which are showcased in this collection of songs! After soaking in these "songs of the Lord", found on this CD, A FRESH WIND: THE SECOND SOUND, it is obvious to this reviewer that Micah Stampley is an independent, immensely talented vocalist, songwriter Christian Music artist / performer, who is in tune with the leadings of the Holy Spirit, boldly using his gifts and talents to offer songs which are outside the box of established genre norms. Elements from Contemporary Christian, R & B, soul, traditional and urban Gospel, ballads, rock, and standard praise and worship are weaved together in interesting combinations making refreshing compositions which are indeed hard to categorize by traditional means. Micah's music surely does make good use of / expand the boundaries of musical elements from these genres, much to the puzzlement of the musical establishment, but to the delight and benefit of a wide listening audience. Other elements one finds in this album, which make a collection of songs truly enjoyable and inspiring include a terrific sense of dynamics and musical instinct throughout the songs, memorable to infectious melodies, well-played, inspiring performances by instrumental voices, nice counter melodies, a variety of rhythms, meaningful, inspiring lyrical messages, and terrific vocals from folks who know how to sing with inspiration! These songs would also be a blessing to any contemporary service in any denomination or non-denominational gathering of the faithful, speaking also to those who are on the fence about making a commitment to the Lord. It is no wonder that this latest release, A FRESH WIND: A SECOND SOUND is nominated for a Stellar Award, as Best Praise and Worship Album. For, this CD is a stellar example of phenomenal vocal talent, skilled musical and lyrical creativity, inspirational dynamics and the ability to let one's faith in the Lord shine throughout the music presented; characteristics which are very much present in this uplifting collection of songs. It is very much evident that the Lord has truly blessed Micah Stampley with some very special gifts, which are showcased in this collection of songs. The most outstanding characteristic of these songs which grabs hold of the listener, is the quality and creative versatility of the lead vocals and the solid harmonies in the backup vocal ensemble. It can be said by this reviewer that Micah Stampley and his backup vocal ensemble truly bring the songs to life in a very real spiritual sense, uplifting and encouraging the spirit and soul, while offering a high standard of vocal quality and musical enjoyment. Like the vocals, the musical and lyrical content of these "songs of the Lord" are also varied and musically interesting; offering a delightful choice of compositions which fit perfectly with the lyrics and theme of each song presented, ranging from poignant piano ballads to stirring anthems of faith (UNFAILING LOVE * ANOTHER PLACE *FERVENT PRAYER) to Micah Stampley's version of contemporary Christian worship songs (YOU ARE LORD * I BELIEVE), sometimes blending in elements of Gospel, rhythmic urban and soul (NO COMPROMISE), to rip-roaring, energetic praise and worship anthems (MARVELOUS - SOVEREIGN GOD). The gospel influence is strongly felt in the call to worship and praise anthems (WE LIFT YOU UP * HOLY VISITATION * CALL TO THE NATIONS), in the VAMPS in most of the songs, and is an underlying influence in other cuts as well, though this influence has been broadened to meet the musical tastes of a wider audience without loosing any of its endearing qualities! The musical talent is also flowing and on fire in the musicians who brought the compositions roaringly to life, adding so much to the accompaniment and energy and spirit found in these songs. Rhythms are sharp, syncopation flows, dynamics are well-played and support -counter melodies are tight and effective. At some point, smoke I'm sure was coming out of the recording studio on some songs. Melodies played were hauntingly beautiful in the more poignant songs. Kudos to the studio musicians!! Micah Stampley and the song writing team of Micah and his talented wife, Heidi, have paired the perfect music vehicles for each spiritual message presented in each cut on the album. Well-written, memorable lyrical messages bring home to the listener spiritual themes which encourage the listener to celebrate, worship and praise our Lord and Savior Jesus Christ, and seek a relationship with Him. There are songs of praise and thanksgiving, songs which extol the great qualities and characteristics of our Lord, and heartfelt prayer anthems, exploring our need of Him (FERVENT PRAYER), and what it would feel like not to have a relationship with the Lord; Emptyness (NEVER LET YOU GO). Other songs encourage the listener to seek the Lord in worship in all circumstances and to walk the narrow path of discipleship, living for Christ. The resulting music offers musical gems which can inspire the listener in their faith walk, whether in meaningful prayer and worship time, a straighter walk with the Lord or even to sing with enthusiasm along with the vocals presented, perhaps dancing around the room as well while praising and worshiping the Lord. These "songs of the Lord" offer music that has wide audience appeal, sure to bless many people, because of the high standards found in these songs. The combination of inspiring vocals and backup voices, memorable and infectious melodies and rhythms supported by solid compositions, and compelling and uplifting lyrical themes encourage the listener to be an enthusiastic, truly engaged worshiper, who celebrates, worships and praises our Lord and Savior Jesus Christ. A FRESH WIND: The Second Sound is a MUST for anyone's Christian music collection, offering high quality / inspirational music which is not only "outside the Christian music genre box," but is also refreshingly creative, most enjoyable and a delightful tool to help keep the listener focused on the Lord. * * * * + + MARVELOUS - Theme: The Lord is worthy of our praise, our gratitude and our worship. Favorite praise song of this reviewer. Musical Notes: A high energy praise and worship song with a moving beat, propelled along by a tight ensemble sound of horns, well done electric guitar (intro jig & support counter melody), synthesizer / keyboard and great drum work, which add a fire and spirit to the song which is infectious, and sticks in one's memory. Musical accompaniment provides great support to equally energetic lead vocals and choral support. A great musical transitional segue at the end flows right into the next worship song, SOVEREIGN GOD. * * * * + SOVEREIGN GOD - Theme: The Lord is in control, HE is true and loving and covers us with grace. Musical Notes: Calmer than MARVELOUS, but still in a joyous, grateful mood, which leaves the listener feeling gratitude and thanksgiving toward the Lord. Lovely yet peppy melody, with the tight sound of the horns, piano, guitar, drums, with some well-done key modulations. * * * * + + WE LIFT YOU UP - Theme: The Lord fills our needs, is faithful and meets us in our worship. Musical Notes: A fiery beginning to start the album with a bang! Begins with a swirl of notes from electric guitar, joined by a lively keyboard, syncopated horns, organ which all cook along with spirit in this contemporary gospel praise and worship song. Modern, full choral harmony, impressive lead vocals, Micah Stampley making great use of his vocal range and breath control. steaming rhythmic counter melody propels the drive of this song. Lyrical Sample: "You satisfy the hungry / And You quench all the thirsty souls / Lord we praise You and we lift You up / Inhabit now our worship / And let our praise be Your abode / Lord we praise You and we..". Bridge: REJOICING ALWAYS, FOREVER GIVING YOU PRAISE TO YOU HOLY FATHER , We'll give you thanks to your name! Musical Notes: Beautiful, poignant piano / organ ballad, with universal appeal, featuring a glorious melody, poignant, expressive vocals, lovely harmonic voices in the choral backup, and the usual great dynamics. Great vocal slide from one octave to another by Micah is quite impressive! Favorite song of this reviewer. Musical Notes: Perfect reprise for UNFAILING LOVE - done in the, dynamic, Gospel style. * * * * + + YOU ARE LORD - Theme: Jesus alone is Lord. Musical Notes: A lovely, piano-based, worship prayer anthem, with a memorable tempo and melody, an interesting mix of contemporary Christian and Gospel, with the customary terrific dynamics, which build beautifully to the end. Begins softly with a ensemble of piano, flute, and vocals. Strings are added in the second verse. vocals build in chorus with beautiful harmony. By the third verse, sound is pumping, and the spirit is flowing! Love the chorus! Full band is playing with energy, creating a powerful worship anthem. Strong favorite of this reviewer. * * * * + ANOTHER PLACE - Theme: Worship of the Lord in a deeper way. Musical Notes: Piano-based worship hymn which draws the listener into a state of worship. Great dynamics, great harmonies, great emotion, equals classic Gospel! Musical Notes: Beautiful piano ballad, seeking the Lord in times of trouble. Dynamic, poignant composition and vocals present a powerful prayer hymn with a memorable melody, interesting key progressions, splendid Micah Stampley vocals and stellar harmonies in the choral backup. Usual great dynamics and emotional umph! * * * * + + NO COMPROMISE - Theme: The only way to avoid the trap of worshiping something tempting, offered by our secular society. Second favorite song - refreshingly different! Musical Notes: A rhythmically catchy, soulful, dynamic song which is infectious, memorable and a bit convicting. Syncopation and dotted notes are used brilliantly to light a fire under the melody, setting the stage for this lively anthem. Really fine guitar playing adds zing and color! Vocals drive the spirit higher, sung with enthusiasm and soulful energy! LOVE the VAMP - Simple lyrics paired with an infectious rhythmic melody and an inspiring, spirited performance of the vocal ensemble. 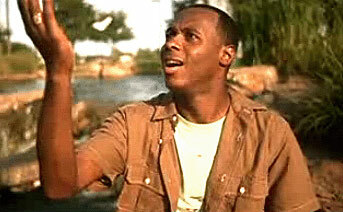 "You're gonna live this life surrendered or you're not / You gotta make a choice who you'll serve / Are you cold or hot?? You don't have a witness living any kind of way / You need to choose right now while you've still got the light of day / Make up your mind if you're gonna run or stand???" * * * * + + NEVER LET YOU GO - Theme: Human beings need the Lord in life. Musical Notes: Begins strong and softens down with acoustic guitar and piano, with soft, poignant lead vocals. Haunting, memorable melody, with a light touch of strings as the song progresses. Dynamics build nicely in volume and intensity, with some nice volume contrasts in between. Has universal appeal to a wide audience. Again, great vocals capture the spirit of the song. * * * * + + I BELIEVE - Theme: Following Christ requires stepping out in faith, believing His promises, God is sovereign. Favorite anthem of this reviewer. Musical Notes: Piano-based anthem, a statement of faith, which begins soft and poignantly and slowly builds in volume and intensity in both vocals and accompaniment, with interesting key changes and modulations. Inspiring, faith-filled lead vocals and strong choral ensemble offer a powerful testimony musically, to having a living faith in God. Love the bridge! * * * * + CALL TO THE NATIONS - Theme: Jesus will be coming back as King of Kings, so we must make ourselves heard, depending on HIM. Musical Notes: Moving, emotional, contemporary Gospel anthem, featuring terrific dynamics, full harmony, written in a spirited 6/8 meter. Musical accompaniment cooks along at a spirited pace, offering great support for the dynamic, spirited lead vocals and full choral support. * * * * + HOLY VISITATION - Theme: Jesus will return again as King of Kings, AND Lord of Lords. Musical Notes: Another a fiery, spirited, call to action gospel anthem, composed in 6/8, which makes great use of moving, driving 8th and 16th notes, playing precisely, and evenly by the entire musical ensemble in various parts of the song. 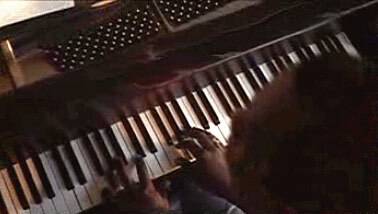 Horns, keyboard, piano, electric guitar surely do cook along, propelling the excitement of the song. Dynamic lead vocals, full harmony, with nice key segue / song style change into NO COMPROMISE. How do you compose? From a keyboard? Guitar? Do the lyrics come first? From jamming together with a co-writer or musicians? Micah: " Sometimes lyrics may come first or on the other hand the melody will hit me first. I have a keyboard that helps me pulled things together. My wife Heidi writes quite a bit with me; it's a part of our unity and we both enjoy it." Micah: "Someone contributes to the lyrics, someone else creates the composition." Anyone else you would like to mention - who helped put together this CD - A producer, etc.? Micah:"The co-producer of the record was Grammy Award winning producer Aaron Lindsay." Any comments on the themes of the songs. Any favorites, and why? Micah: " The song "I Believe" is one of my favorites. My wife, Heidi wrote this song while reading a book of sermons from Smith Wigglesworth. God used him to raise over 20 people from the dead in the early 1900s in addition to countless other miracles. This song has touched so many people and is a blessing to me every time I sing it. I aspire and desire to be used by God to show His signs and wonders in the earth as well." Micah: " The co-producer of the record was Grammy Award winning producer Aaron Lindsay." "You satisfy the hungry / And You quench all the thirsty souls / Lord we praise You and we lift You up / Inhabit now our worship / And let our praise be Your abode / Lord we praise You and we..."
"You're gonna live this life surrendered or you're not / You gotta make a choice who you'll serve / Are you cold or hot?? You don't have a witness living any kind of way / You need to choose right now while you've still got the light of day / Make up your mind if you're gona run or stand???"